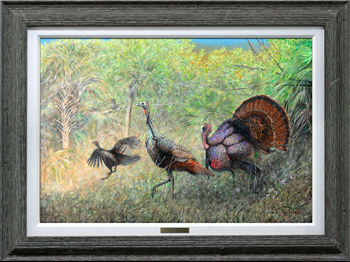 Peter R. Gerbert's "In the Presence of Osceola Turkeys"
Limited Edition Prints are now available, signed & numbered by the artist only to 200, with 3 Artist Proofs. 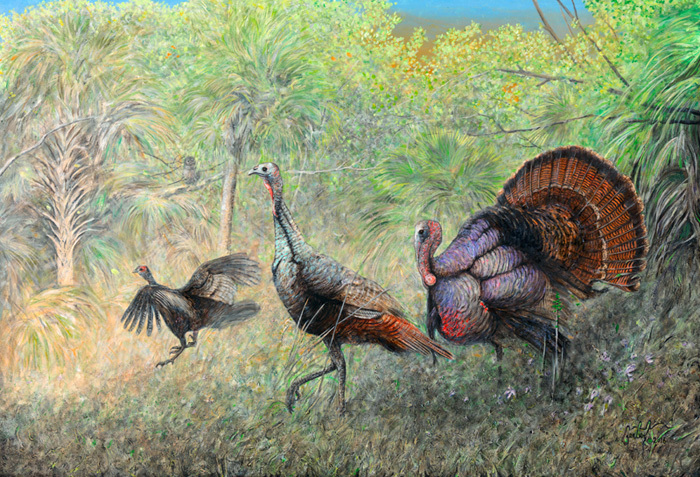 “One late winter morning as the sun gracefully peeked over the horizon, Osceola Turkeys meandered out of the dense forest and into a clearing. Touched by the first light of day, their feathers became boldly colorful. 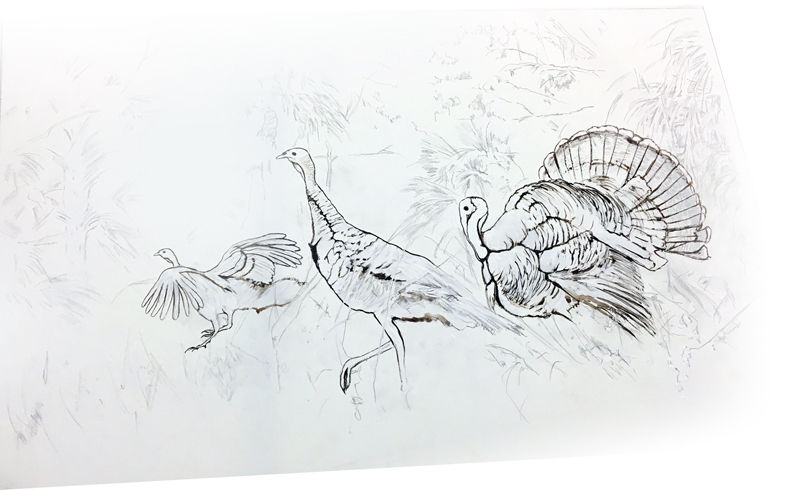 It was the sun-radiating iridescence of these birds that I wanted to capture with this painting. 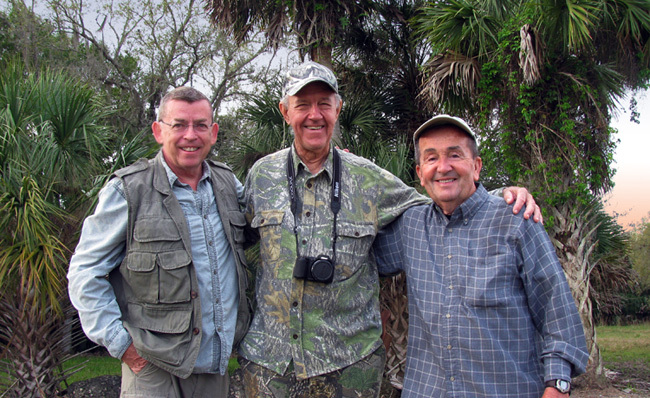 Searching for wildlife in the Big Cypress National Preserve and surrounding areas with Captain Franklin Adams (FWF Board of Directors) and my research colleague, Dr. Forest Redding, Jr. (a former Fulbright Senior Research Scholar). 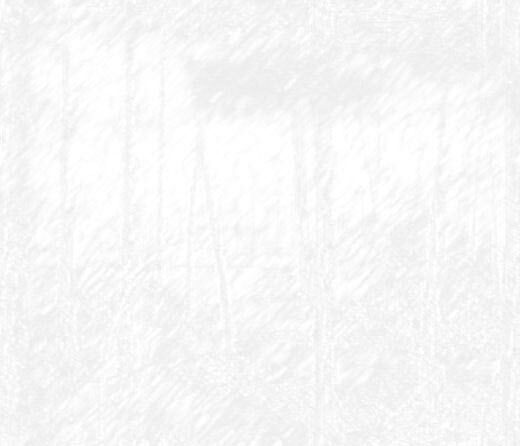 Send the artist an e-mail message, or call the artist's studio for more information (352) 583-2614. Featured artist of Audubon Florida; a portion of the proceeds from the sale of the canvas prints “The Spoonbill Lagoon” and “Just One Moment in Eternity” have benefited the society’s conservation efforts.